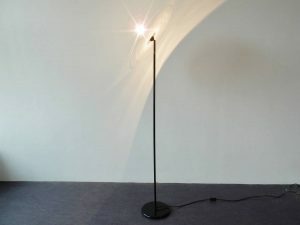 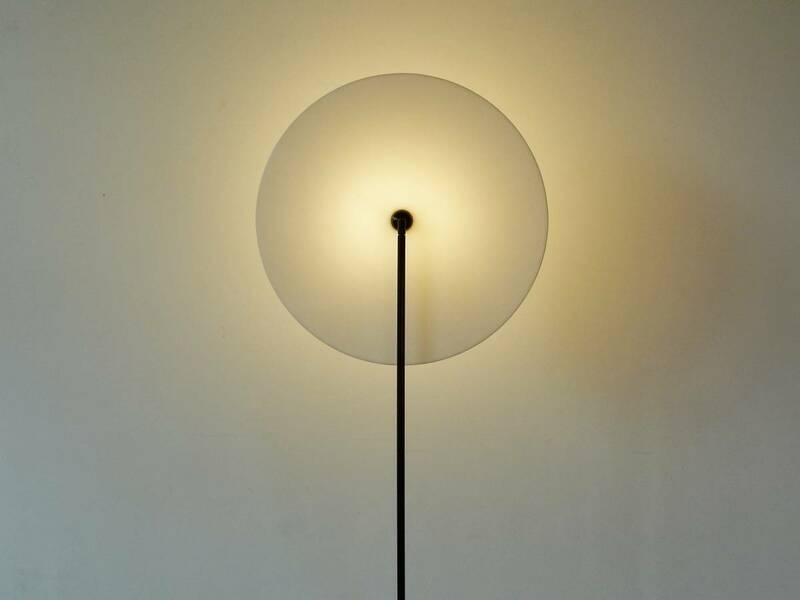 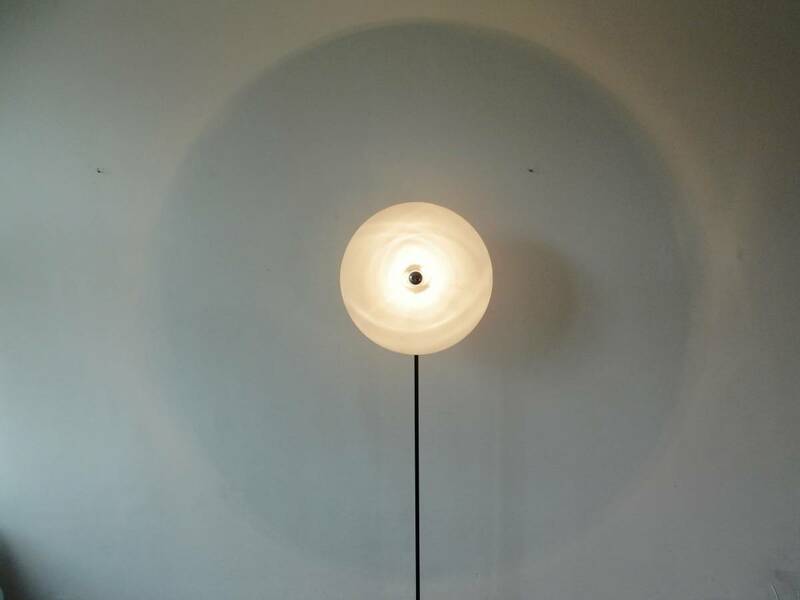 Model ‘Disc’ floor lamp by Aldo van den Nieuwelaar for Nila Lights. Netherlands, 1974. 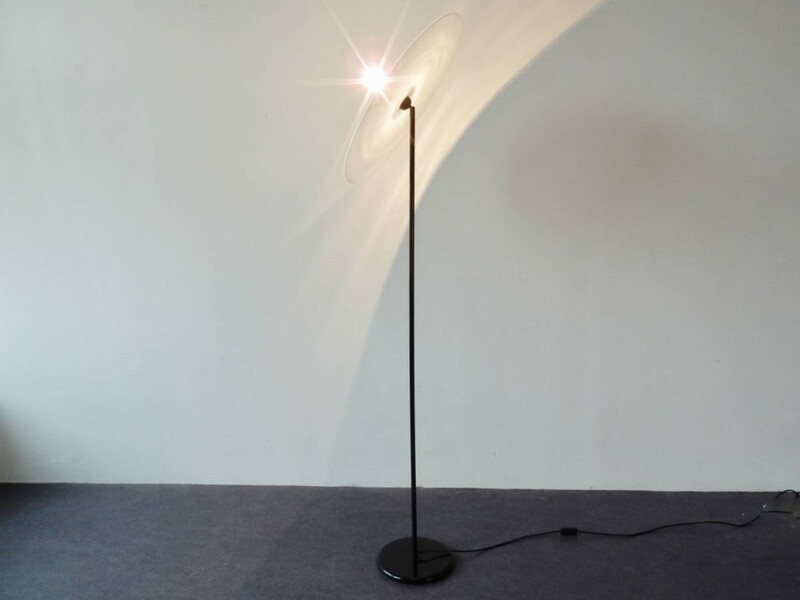 This floor lamp is a fantastic design by Aldo van de Nieuwelaar for Nila Lights. Only a small production was delivered in 1974, therefore this is quite a rare item. 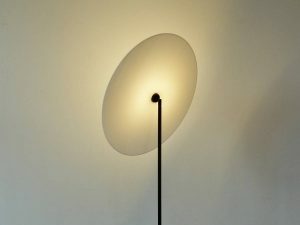 The perspex circle is of great simplicity but offers a wide range of positions and arrangements. 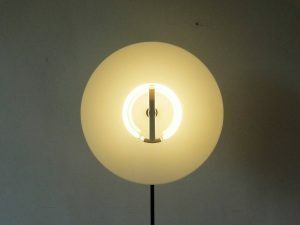 Also a different light is created by using different bulbs. The pictures are with a mirrored light bulb and with a circular light, both create a different look. 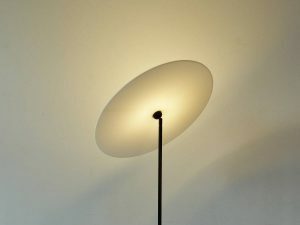 This lamp is in a very good to excellent condition.